Renewal of ICE membership is live! Go to https://ice.athlete360.com/ to sign up for the new year. The ICE End of Season party will be held at the Sand Trap on Bannock Highway on Tuesday, November 6 at 6pm. All are invited. Dinner will be served. 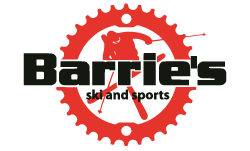 The first post ride BBQ of the year will be June 12 at Barrie’s. This follows the Tuesday night ride that leaves from Barrie’s at 6pm. After returning from the ride, enjoy a nice meal courtesy of ICE. The calendar has been updated with local events. Regional events to follow soon.